Do you ever find all the coconut oil names and labels out there to be confusing? I know I did at first. There are many types of coconut oil with significant differences in quality. In this article I explain how to choose the best refined coconut oil and which ones to avoid. There are two main types of coconut oil: unrefined (virgin) and refined coconut oil. The difference between them is that virgin coconut oil is made from fresh coconut meat. Refined coconut oil on the other hand is made from dried coconut meat called copra. Virgin coconut oil contains the highest amount of nutrients. It also needs much less processing than refined coconut oil. This oil is the healthiest and tastiest of both coconut oils. More about the different types of virgin coconut oil here. I discuss everything about cold-pressed, centrifuged, raw, organic, virgin vs. extra virgin, expeller-pressed and more. Back to refined coconut oil. Depending on how it’s produced, it can range from good to very poor quality. Read on to learn how to spot the best refined coconut oil and what to watch out for. Refined coconut oil lacks the typical coconut smell and taste. This makes it a neutral ingredient in cooking. It’s suitable for people who want some of the benefits of coconut oil, minus the taste and smell. It’s also good for high temperature food preparation. Its high oxidation point makes it the most heat-stable plant-based fat in the world. More even than virgin coconut oil. Here is an overview of the healthiest oils to cook with and those to avoid. Refined coconut oil is initially a brown colored oil, which needs to be purified. They do this by refining, bleaching and deodorizing it, thus the name RBD coconut oil. Bleaching is possible through a filter process with clay, which is the most natural option. Some coconut oil producers however use chemicals instead. Deodorizing is often done through a steaming method. The quality of refined coconut oil depends on the condition of the coconuts and the processing method. The best refined coconut oil is one that is produced naturally without chemicals. And made from the right coconuts. More about that in a bit. People often think that refined oil has lost its nutritional value, but this is not always true. It does contain less nutrients than virgin coconut oil. For example phenolic compounds, a type of antioxidant and vitamins E and K.
These nutrients are more sensitive to higher temperature processing. As a comparison: a high quality virgin cold-pressed coconut oil doesn’t exceed temperatures of 49° C / 120° F during production. Some types of refined coconut oils are exposed to temperatures of over 204° C / 400° F.
High temperatures however don’t affect the MCT’s; the healthy fatty acids in coconut oil. There are different types of refined coconut oil. Expeller-pressed is considered to be the best refined coconut oil because of its natural production process. After drying the coconut meat in the sun or by smoke drying, they press it in mechanical expeller presses. The temperatures of these are typically around 99° C / 210° F.
The oil is filtered and washed to separate it from moisture and dirt. This also removes any possible bad taste or smell. Expeller-pressed refined coconut oil doesn’t require the use of chemicals. This oil lacks the typical coconut taste and smell of virgin coconut oil. It does however taste more natural than some stronger processed refined coconut oils. The expeller pressed method can also be used for virgin coconut oil. Except that type of coconut oil contains fresh coconut meat instead of copra. Avoid consuming oils that use chemical processing and always buy organic. Buying organic is much more important with refined coconut oil than it is with virgin coconut oil. It’s not really about if the coconuts are organic, they usually are by nature. It’s about the use of chemicals during production. The coconuts that they use for refined oil are older and of inferior quality. The lower the quality of the coconuts, the more chemical processing it needs to mask this. Organic should guarantee that the oil is chemical-free. Unfortunately it’s not always easy to know how they produce a specific coconut oil. Many refined coconut oils contain low quality coconuts. They undergo harsh chemical processing to remove impurities. They then bleach them to get a sparkly white appearance. Artificial aromas make the oil appear and taste natural. Unfortunately these kinds of coconut oil are far from healthy. When you buy coconut oil, always inquire about this. I prefer buying coconut oil from companies that either have their own coconut plantation or work very closely with one. It’s essential for me to buy from someone who is transparent and knowledgeable about the production of their products. 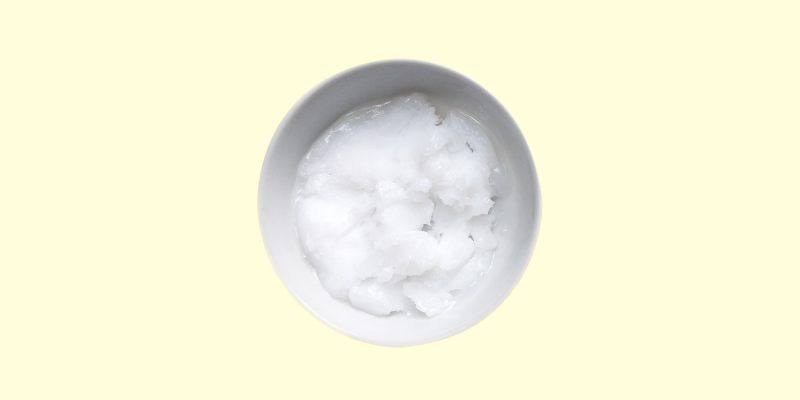 Natural coconut oil isn’t bright white; it has a light-grey undertone. The bottom of the jar tells much about the quality. If the oil is very white, it has probably been chemically altered. Natural coconut oil should show light greyish / brownish traces there. Be careful with traces of black or green color. This usually indicates the use of moldy coconuts and insufficient filtering afterwards. A ”100% pure coconut oil” or ”premium quality” label without additional information doesn’t guarantee that it’s any good. It could indicate that they didn’t mix it with other oils. However it’s unclear how they produced the oil. The healthiest, best quality refined coconut oil should be organic and naturally processed. If you’re not sure about a product, contact the manufacturer and ask your questions. Many coconut oil brands use so-called private labeling. It works like this: a big company produces the coconut oil and delivers it to other companies. They then label and sell it under their own name. This makes it much harder to trace where and how they made the oil compared to buying directly from the producer. It’s very possible that some of the different brands of coconut oil on display are actually the exact same product. We are just not aware of it as they have their own names and packaging. I’m a curious person and I like to know what I’m buying. Get in touch with a company to ask your questions. When you do and get very general information back, it might be that they are just not close enough to the source to be able to tell you. Liquid coconut oil is often a highly processed oil. It doesn’t contain any or very little Lauric acid. As a result, liquid coconut oil always remains liquid even when refrigerated. 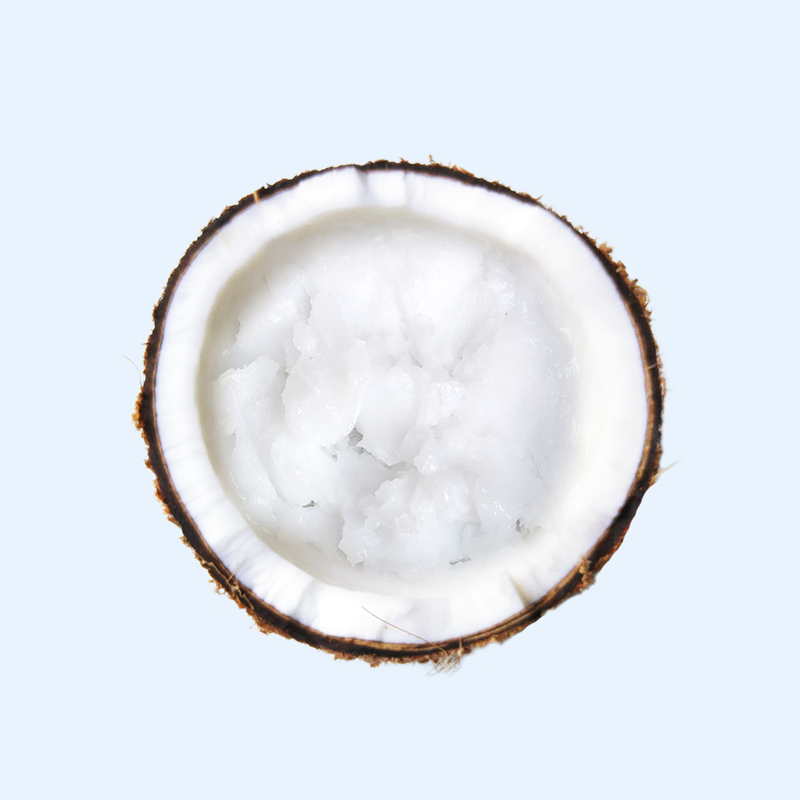 Lauric acid is an essential, healthy component of coconuts. It’s a unique fatty acid that also naturally appears in breast milk. Removing Lauric acid from coconut oil is not easy, so it usually requires chemical processing. The product name liquid coconut oil is very confusing. Natural coconut oil melts at 24° C / 76° F. Whether it’s liquid or solid, it’s equally healthy. The product liquid coconut oil however is very different from liquid natural coconut oil. You might think that because of the processing it will at least be more suitable for high temperature cooking. Unfortunately this is not the case. Lauric acid is the heat-stable compound of coconut oil. It’s one of the main reasons why it’s so healthy to cook with coconut oil. This fatty acid forms about 50% of the MCT’s in coconut oil. The remaining MCT’s are heat-unstable fats. ”The exclusion of Lauric acid reflects the fact that this fatty acid has high commercial value as a precursor for antibacterial pharmaceuticals (eg, monolaurin) and other worthwhile compounds. Liquid coconut oil is very sensitive to oxidation and is not suitable for cooking. This product is also known as fractionated coconut oil in the beauty industry. This is a type of highly processed coconut oil that contains trans fat. It’s the result of hydrogenation of the unsaturated fats in coconut oil. Trans fats are not good for your health and it’s best to avoid them. Coconut oil contains 0% trans fat, so processing it to create them doesn’t make sense. Why then hydrogenate coconut oil? Hydrogenation is a cheap way to lower the melting point. This way the oil stays solid at higher temperatures and products such as candies and desserts don’t melt as easily. You probably won’t find a jar of hydrogenated coconut oil as a consumer product. If however you see it on the ingredients list of some snack, know that it’s very unhealthy. Refined coconut oil can be a good option to use for high temperature cooking. Or for dishes that require a neutral tasting oil. Just make sure to buy a good quality refined coconut oil. It should be organic and expeller-pressed. Avoid using chemically processed refined coconut oil. Read on about the different types of virgin coconut oil. 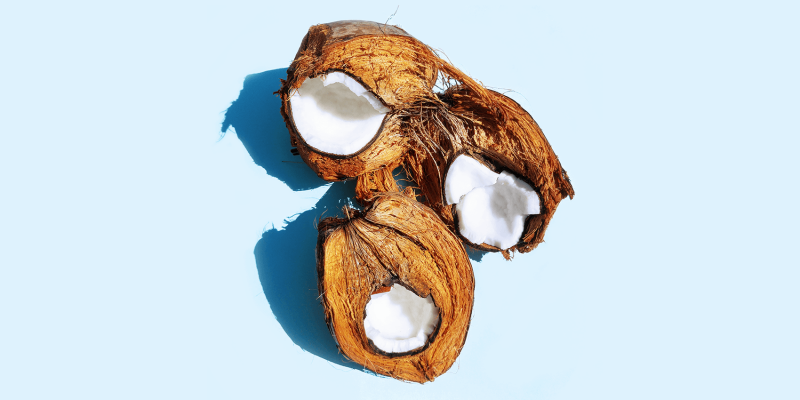 Not sure which coconut oil to buy? A complete overview of the most common types of coconut oil and their processing methods is in this article. Do you know how to choose a healthy cooking oil? Very informative overview with a lot of good information, enjoyed reading it! I thought for a long time that refined coconut oil is unhealthy and cooked with olive oil instead. I’ll put it on my next shopping list! Glad to hear that you enjoyed reading the article Karen! Refined coconut oil got a bad rep in the past but nowadays it’s a completely different product. Olive oil is very healthy, but less heat-stable than coconut oil. It’s best used in either raw dishes or adding it to cooked food afterwards. Brief, low-temperature cooking is also fine with olive oil – just make sure it’s a good quality extra virgin oil.